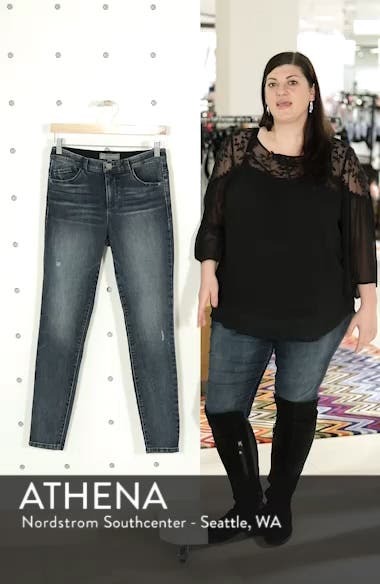 Designed to mold and hold, these well-washed jeans take care of the comfort factor so you can just go on being fabulous. Choose a sizeRuns large; if between sizes, order one size down. Will stretch with wear. High rise.